How to go about renovation for your kitchen? 23 Nov How to go about renovation for your kitchen? Cabinet makers in Los Angeles have designed modern cabinets with the consumer in mind. They have made this product solid, durable, and stylish. They can be bought ready to assemble (RTA), which means a great savings for buyers. 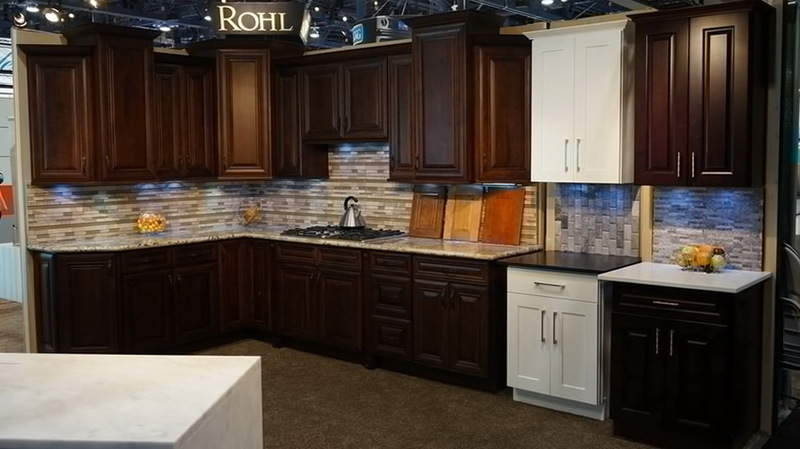 Whether consumers are looking for dark or light finishes they can depend on their Los Angeles cabinet maker to get it right. Whether you are a builder or homeowner you can browse the showroom which contains a vast array of products that will make your next kitchen upgrade amazing. Homeowners, designers, and builders can find exactly what they are imagining when they seek cabinet makers in Los Angeles. All buyers will be happy to see that they can choose from light or dark finishes. These include super dark espresso or classic white. Cabinet finishes can also have a touch of red to the tint like you find in a cherry wood or cinnamon. Of course, antique coffee and American walnut are also popular choices for a neutral but beautiful kitchen that pairs well with most floors and countertops. For those that are looking for an ultra-modern or European look, choose flat panels with a grey finish. Buyers can find exactly what they are looking for. They will be amazed at the savings when they by RTA cabinets. Before going to cabinet makers in Los Angeles, though, take measurements so you know exactly what to purchase. These amazing cabinets will fit your space when you buy the correct sizes. There are many to choose from. Consider a large sink base, sets of drawers, and a space saving corner cabinet. For upper cabinets, remember that you can add punches of style. Add glass doors to one set of cabinets, no doors to another, and a wine rack. These little touches will make your kitchen stand out above the rest of the neighborhood. This is especially important if you are looking to sell the home quickly. Kitchen renovations should include the installation of new cabinets. This is easily accomplished with functional, durable, and modern cabinets makers in Los Angeles Buyers will be delighted to find exactly what they are looking for when they shop the warehouse full of the products that they will need to make their kitchen renovation a success.